This gallery certainly lives up to its name – these women are elite! This chick? Are you kidding me? 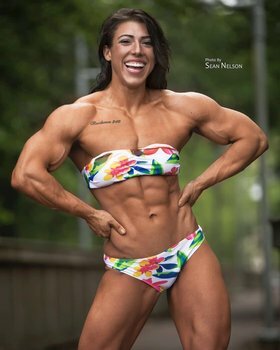 http://www.imagebam.com/image/b22353985855404 Her face is one of the best I’ve seen on a real deal muscle girl. BTW – how many of us would be ecstatic to go on a Blind Date and see HER as our date! oh man. these real breasts and chest muscles are just so beautiful.